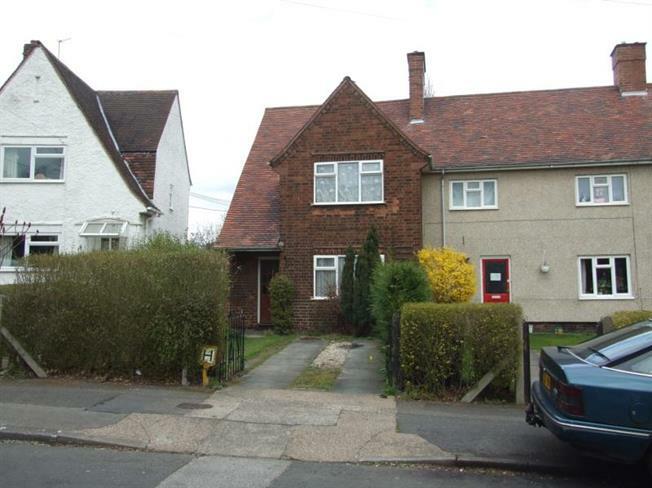 3 Bedroom Terraced House For Sale in Nottingham for Offers Over £160,000. A three bedroomed end town house located close to the University of Nottingham and Beeston town centre having the benefit of double glazed windows, gas central heating, driveway gardens to front and rear the rear being a good size. Double radiator, double glazed window to side. Coal effect gas fire, marbel hearth and inset surround, TV point, single radiator, daido rail, double glazed window to front. Fitted wall and base units, roll edge work surface, single sink drainer, mixer tap, plumbing for washing machine, laminate flooring, double radiator, walk in pantry, double glazed window to rear. Wardrobes, single radiator, double glazed window to front. Double glazed window to rear, single radiator, Loft access. Panelled bath, handwash basin, w.c., tiled flooring, double glazed window to side, double radio. Driveway, patio, lawn, shrub beds.